#DOBvSBP Mr Justice Bernard Barton has this morning started charging the jury in Denis O’Brien’s defamation case against the Sunday Business Post in the High Court. 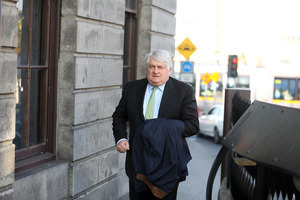 The ‘sheet‘s Olga Cronin is live tweeting from the conclusion of Denis O’Brien’s libel case against the Sunday Business Post about articles on a 2008 Government-commissioned report by PwC on Ireland’s top 22 borrowers and can be followed here. 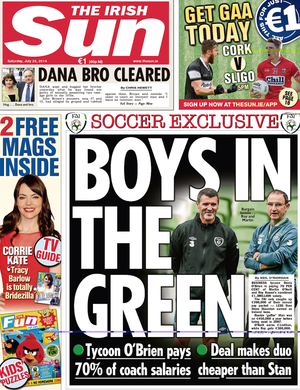 Posted in Misc and tagged Denis O'Brien, SBP at 1:24 pm on February 27, 2019 by Bodger. I doubt that it will go ahead though. Ah no, so it doesn’t matter what the people DOB met on his way back from mass in Donnybrook thought? Not the paper-boy? Not the chimney sweep? What about his sainted Mammy and Daddy, surely what they thought is relevant? Engrossing stuff and fantastic reporting from Olga. “Judge: He’s sat here every single day of the trial and looked up at you…coming here to you for your verdict. He’s in Barcelona this morning-will the judge correct the court records as this statement is incorrect and misleading. Johnny, Olga says Dob has just arrived at the High Court. thanks Bodger-he certainly was NOT when the judge made that statement ! thanks Eoin-nicely done and as always thank you Olga,Bodger and the team at Broadsheet-I find this style of reporting absolutely excellent,really awesome work by you guys. -a few million dollars Cian-we have a ‘news service’ like most modern companies,that clips Digicel press releases-please join us in 2019. Absolutely. Many thanks to Olga and Broadsheet. Thanks for the work on this Olga! Top work again Olga. You’ve done a great job of keeping things clear and coherent. It made for a great read this evening.